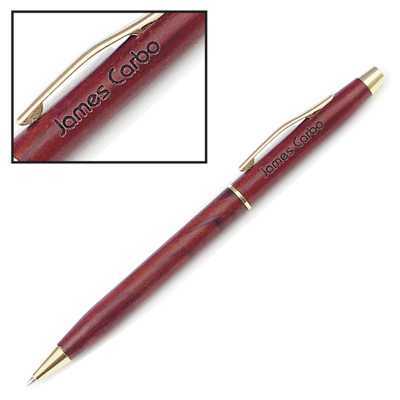 The Maple Slim Line Pen has a sharp, sophisticated look. 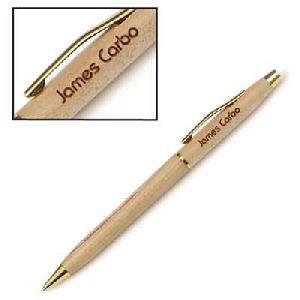 Twist the top and the ball point retracts smoothly. The clear finish and gold accents look striking and very professional.